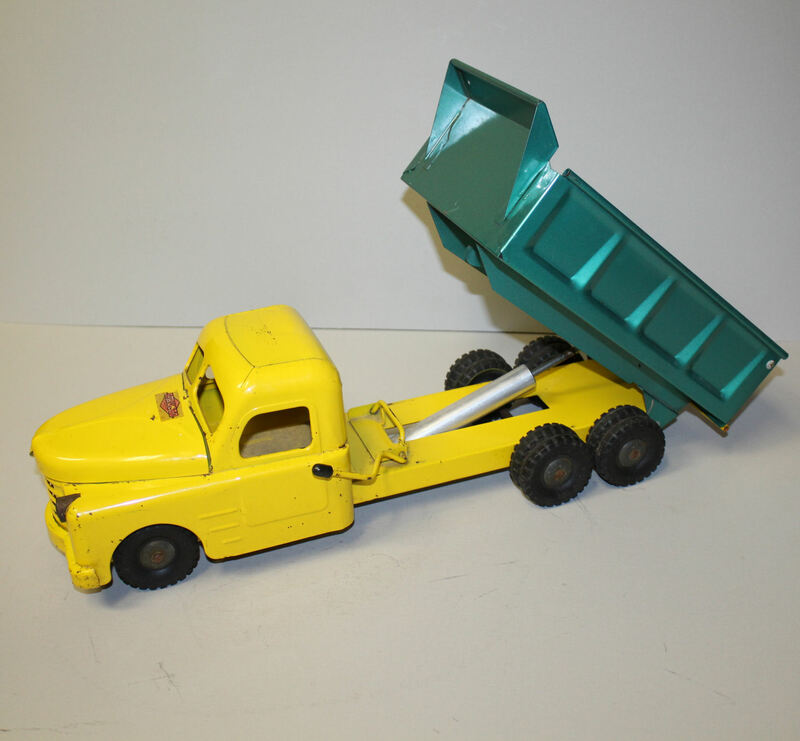 Toy Metal Dump Truck with hydraulic is working and in very good condition original paint made by Structo. There is a label that reads Structo Freeport, Illinois U.S.A. Measures 21″ length, 8″ width and 6″ height.